But it is especially the huge potential market access and the ease of conducting trade for any global business that is so attractive. The absence of border bureaucracy has cut delivery times and reduced costs. Before the frontiers came down, the tax system alone required 60 million customs clearance documents annually: these are no longer needed. And once a global business completed the rather complex import and export requirements, a business has automatically close to 500 million potential customers on its doorstep. This allows larger businesses to benefit from enormous economies of scale, while new markets have been opened up to small- and medium-sized businesses which previously would have been dissuaded from exporting by the cost and hassle. But what about the EU’s close neighbours? While they are smaller in size, they are still economically very important. Don’t forget about Iceland, Liechtenstein, and Norway! Often, we don’t mention them, but at Amber Road we care about all countries. Did you know that the benefits of this Single Market also extend to three non-EU members, Iceland, Liechtenstein, and Norway? They are part, together with the EU member States, of the so-called “European Economic Area” (EEA). The EEA unites the EU Member States and the three EEA EFTA States into an Internal Market governed by the same basic rules. The agreement which manages this relationship is, appropriately called, the EEA Agreement. Its objective is to create a homogenous European Economic Area. As such, all relevant EU legislation in the field of the Single Market is integrated into the EEA Agreement so that it applies throughout the whole of the EEA, ensuring uniform application of laws relating to the Single Market. What is included in the EEA Agreement? The EEA Agreement provides for the inclusion of EU legislation in all policy areas of the Single Market. This covers the four freedoms, i.e. the free movement of goods, services, persons and capital, as well as competition and state aid rules, but also the following horizontal policies of matter for business like consumer protection, company law, environment, research and technological development, education, training, enterprise, entrepreneurship and small and medium-sized enterprises etc. But the EEA Agreement excludes the Customs Union, the common trade policy, the common foreign and security policy or direct and indirect taxation, just to name a few. 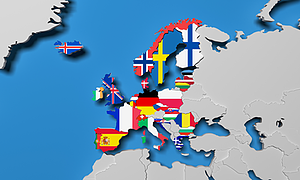 Tariff rates, trade agreements, export controls, VAT & excise rates are not part of the deal and are set separately by Iceland, Liechtenstein, and Norway. Switzerland, the 4th EFTA Member State, does not participate in the EEA and has its own bilateral agreements with the EU. How is the EEA Agreement set up? The agreement is based on the primary legislation of the EU (Treaty of Rome) at the time of the EEA Agreement’s entry into force, and on secondary legislation (EEA-relevant regulations, directives, decisions and certain non-binding instruments). The legal texts of EEA Agreement consist of 129 articles, 22 annexes, 49 protocols and a final act. The annexes list the EU acts applicable to the EEA, including adaptations. Does all EU legislation become legislation for Liechtenstein, Norway and Iceland? No, this is not an automatic process, rather it requires scrutiny and acceptance by the three countries, in discussion with the EU. First, the new EU legislation published is analysed for “EEA relevance”. Only regulations related to the EU Single Market would be in scope of adoption by under the EEA agreement. Customs & Trade regulations are usually excluded as the three countries do not participate in this and have their own policies. Once “relevance” is established, it is decided if any changes would need to be made. These can be technical or substantial. If only technical, new “EEA law” an be adopted quickly. Then, the ratification process in the capitals of the three EEA countries can commence. How is new EU legislation incorporated into the EEA Agreement? In order to be applicable in the EEA, EU acts have to be incorporated into the EEA Agreement, more concretely into one of its Annexes or Protocols. These amendments to the EEA Agreement are done by means of Joint Committee Decisions (JCDs). These decisions constitute international agreements and are adopted according to the simplified procedures foreseen in the EEA Agreement. Do the three countries have any say in the formulation of the laws or are they just “vassal states”? Liechtenstein, Iceland and Norway maintain their independence and institutional integrity through the EEA Agreement. This is the only agreement known today which allows you to reap the benefits of the EU Single Market without being part of the EU political institutions. How can a company know when which EU regulation has been transposed into Liechtensteiner, Icelandic or Norwegian law? It’s increasingly difficult for companies to stay current on the trade laws all around the world, Amber Road maintains extensive trade content on government regulations, and international business rules in our Global Knowledge® database. We cover over 160 countries, roughly 95% of world trade making our trade content and content management process the best in the industry. Global Knowledge® is tightly integrated within our suite of global trade management software that is used by leading companies all around the world. Learn more and stay up-to-date on new trade content and regulations in Amber Road’s weekly newsletter. Sign up to have the GTM Newsletter delivered to your inbox each week.